Choose student housing at The Ridge at North Texas and enjoy a social student community within easy reach of all the major universities. As you head to campus, swing by West Oak Coffee Bar and order a homemade vanilla latte from their busy baristas. After class, catch the Mean Green UNT basketball team slam dunk their competitors in the Super Pit, or uncover vintage vinyls at Recycled Books, Records & CD’s. Then feast on a Vietnamese pork roll or snack on a stone pizza from the Austin Street Food Trucks, before thrashing around in the sweaty moshpit at popular indie music venue, Rubber Gloves. 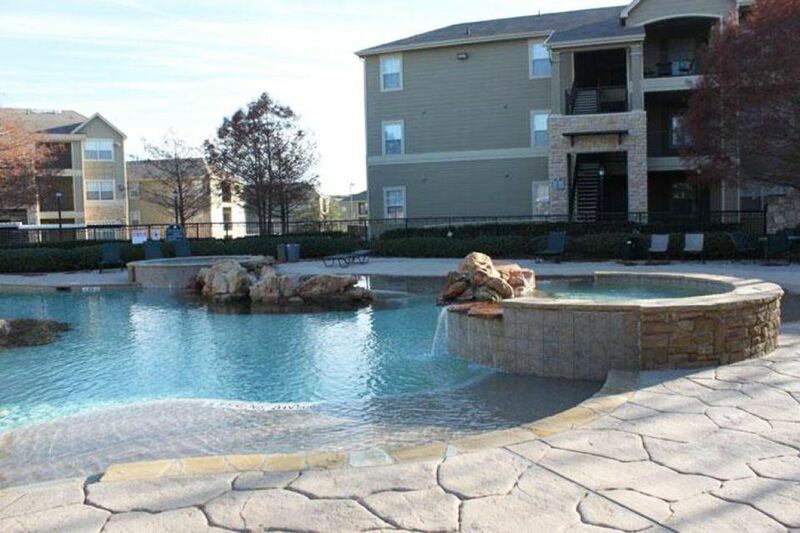 The Ridge at North Texas is located within easy reach of the major universities. Jump on the free shuttle bus and you’ll be at the University of North Texas in seven minutes. Drive to the Texas Woman’s University in 15 minutes or keep heading north and you’ll be at North Central Texas College in half an hour. On weekends, browse through the second-hand threads at Circa 77, then pop into Beth-Marie’s Old Fashioned Ice Cream Parlour for a few scoops of their butter pecan or choc chip. After your adventures, drive through the gates of The Ridge at North Texas and pull up in the undercover parking. 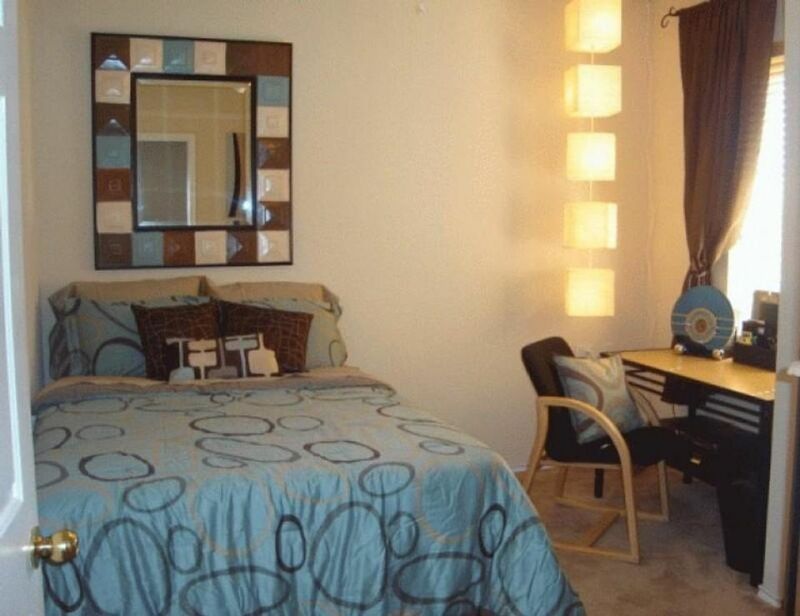 Your modern one, two, three or four-bedroom apartment comes fully furnished, so you won’t need to buy a thing. Fix yourself a bite to eat in the open-plan kitchen fitted with all the mod cons. Then take a hot shower in your shared bathroom or private ensuite. You’ll be able to choose an outfit easily from your spacious walk-in closet and you have the convenience of your own washer dryer, so you won’t have to leave the apartment to do your washing. It’s easy to meet other students at The Ridge at North Texas. 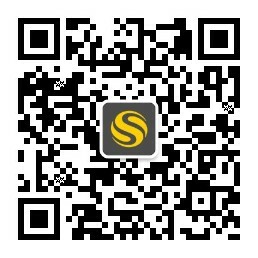 Monthly social events will help break the ice. There’s also a basketball court, volleyball net, 24-hour fitness center, resort-style pool and games room to keep you busy in your downtime. 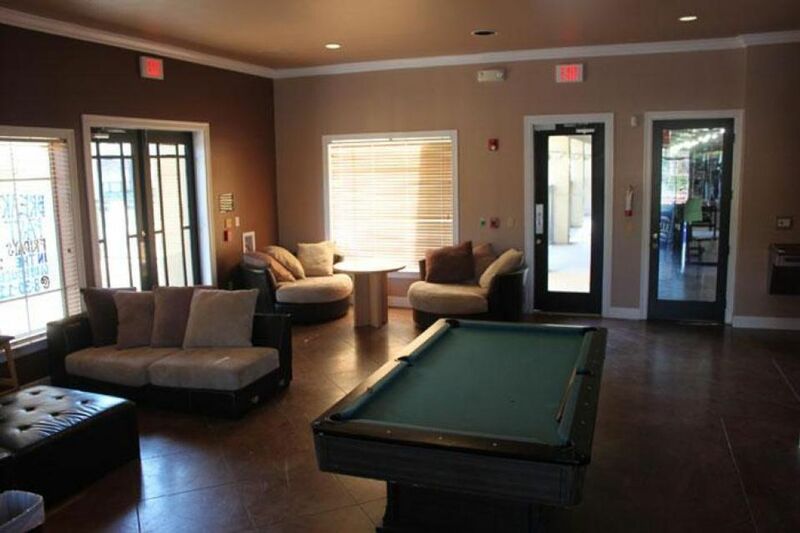 Best of all, The Ridge at North Texas takes the stress out of living away from home. They can match you up with a suitable flatmate and your rent covers an around-the-clock maintenance team, high-speed internet, cable TV and your utilities. Wir haben leider keine Unterkunft gefunden, die deinen Wünschen entspricht.Alle Privatzimmer in The Ridge at North Texas ansehen. Wir haben leider keine Unterkunft gefunden, die deinen Wünschen entspricht.Alle Ganze Wohnung in The Ridge at North Texas ansehen.